I have a confession. 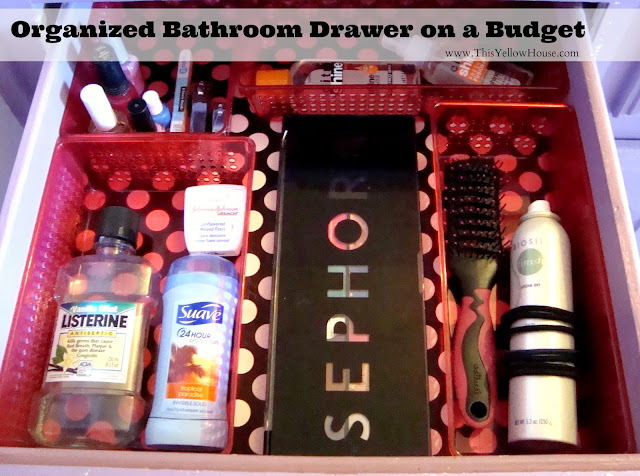 I had a really really cluttered and horrible bathroom drawer. It drove me crazy. I really love the blogs that just keep things real. The ones that show the ugly truth. So I'm going to do the same and show you my dreadful before picture. Even tho it makes me want to cringe now. I look at it and wonder how did I live with it like that? Yikes! 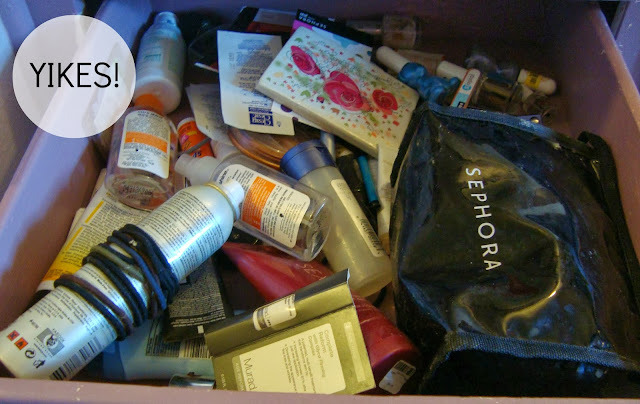 It's a crazy mixture of makeup, hair products, nail polishes and so on. It's just chaos at its best. Like I talked about here, I've been decluttering the entire house like crazy. I'm gone through every drawer and cabinet getting ready for a yard sale and to get clutter out of here. After decluttering the whole house, I'm now working on organizing the whole house. I feel like having a clean, tidy, no-clutter, everything-in-it's-place home will make our house feel like our castle. I know I won't be able to organize every single area in our house during this series. So I decided to first tackle the places that would affect us the most. The most used places in the house. The bathroom drawers are something me and my husband use every day. I decluttered them. I got rid of a ton of junk we didn't need in them. I cleaned them. Then I started thinking: how could I organize them? And make them pretty while being functional? I had on hand a roll of black and white polka-dot wrapping paper I love that I got at Target. I decided to line the drawers with that. 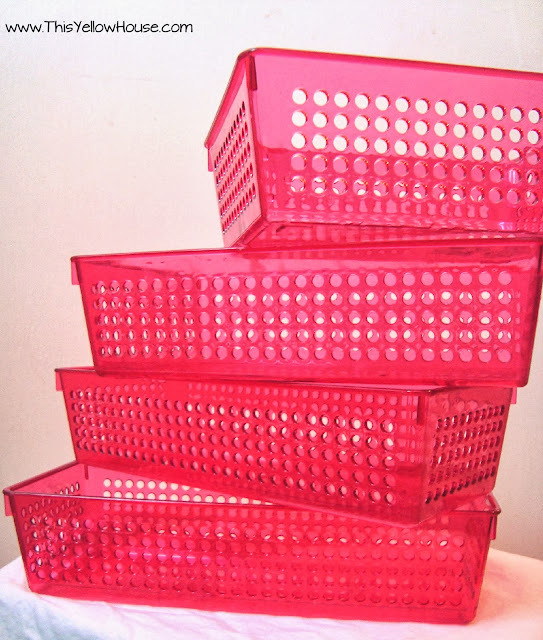 Then I found these very budget friendly hot pink bins from the Dollar Tree. I bought four in different sizes. So after using the wrapping paper I had on hand and the bins from Dollar Tree, I got an organized drawer for 4 bucks! I still have to finish my husband's drawer. His wasn't near as cluttered as mine. I decided he probably would feel the pink bins and polka-dot liner would be a little too girly so I am going for more of a manly drawer for him. I also found him some bins for his at the Dollar Tree. They have some pretty good organizing tools there! I love my new drawer now. It has made my mornings so much easier. It's funny how the little things really do make a difference. Everything has a place and I can find everything so easy now.